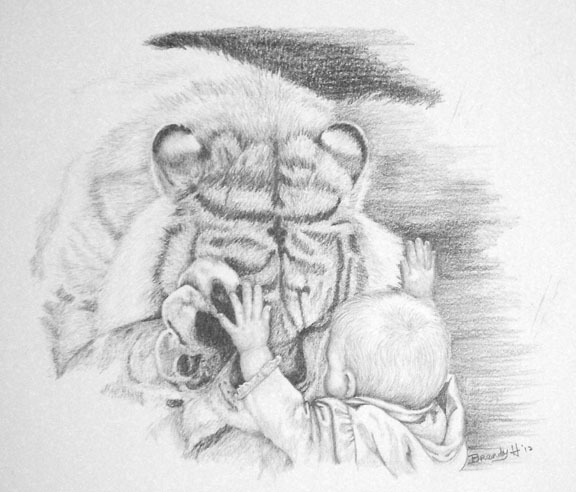 A pencil drawing of a beautiful moment between a child and a huge tiger. Yes, there is glass between, but it still spoke to me. The original is 11 x 14 and $150.